It took Logitech something like four years to move from a single Romer-G keyboard switch to two, adding the Romer-G Linear a few months ago. It took less than six months for them to add another. 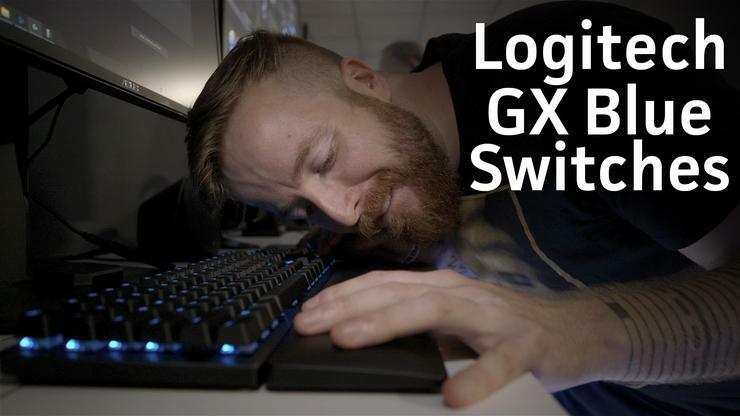 This week Logitech debuted the GX Blue switch. Yes, GX Blue—no Romer-G designation, which is interesting. And as you’d expect, the GX Blue does indeed mimic the Cherry MX Blue switch. It’s a tactile switch, requiring 50g of force and with a prominent click at the actuation point (1.9 mm). For the moment, the GX Blue is limited to two keyboards: Our favorite Logitech G513, and then a new variant called the G512 which ditches the wrist rest to save $50 off the list price. That seems like a lot of savings for a wrist rest, but I don’t know. We’ll have a more in-depth review of the G512, and specifically the GX Blue switch, once we get one into the office and spend some quality time with it. We swung by Logitech’s meeting room at E3 to give the new switch a try though. You can catch our first impressions in the video above, and stay tuned all week as we bring you more coverage from E3 2018—hands-on previews, videos, and more.